Winnipeg Free Press – The Lance: What kind of school creates a $100,000 scholar? Earning a scholarship for post-secondary study is a proud achievement for any student or parent. The value of a diploma, degree or certification in today’s global economy goes without saying. It’s why the average post-secondary student chooses to incur, on average, $27,000 in debt for the privilege of attaining a post-secondary credential. 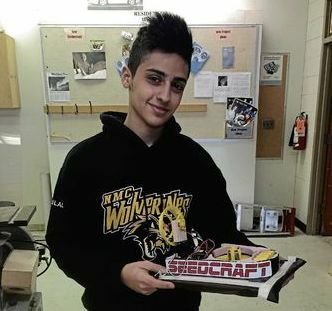 Bilal Ayyache, a Grade 12 student at Nelson McIntyre Collegiate, has landed the scholarship of scholarships. And it’s safe to say he won’t have to worry about accumulating post-secondary debt anytime soon.